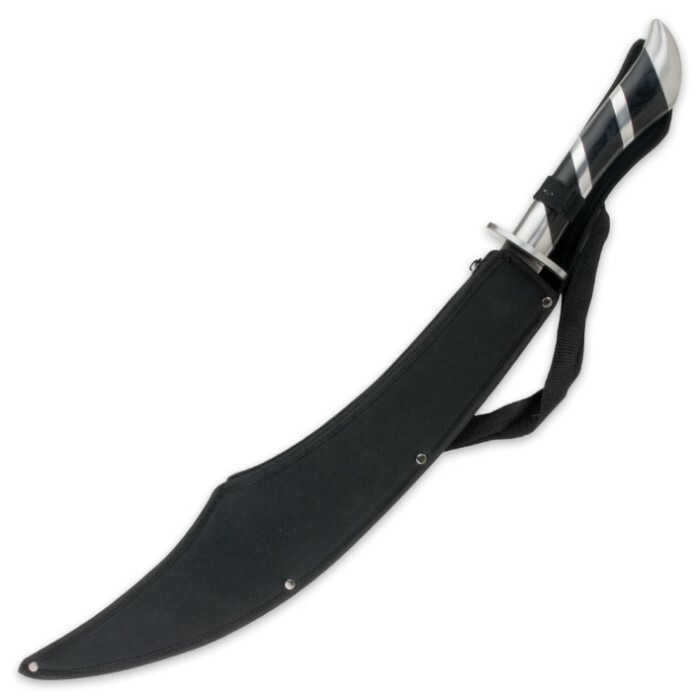 Arabian Sands Scimitar Sword With Sheath | BUDK.com - Knives & Swords At The Lowest Prices! 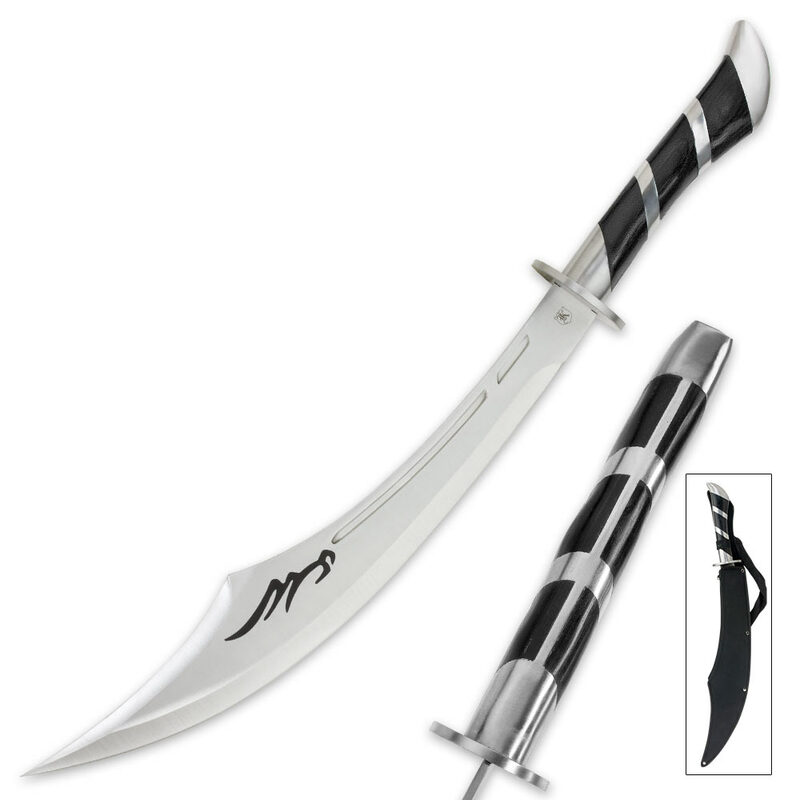 This 25" Arabian style anime fantasy sword has a massive 17 1/2" full tang stainless steel blade that is a pure chopping machine! The spiral design of the hardwood and stainless steel handle is accented by the matching stainless steel guard for a smooth and easy grip. A durable nylon scabbard is included to sheath the blade. What are you waiting for? This scimitar needs to be in your fantasy sword collection!